Sunday 4 November will mark the 100th day since the mass arrest of Jasic Technology workers and their supporters in Shenzhen on 27 July. China Labour Bulletin calls on the Shenzhen authorities to immediately release all those still in detention. Sunday 4 November will mark the 100th day since the mass arrest of Jasic Technology workers and their supporters in Shenzhen on 27 July. 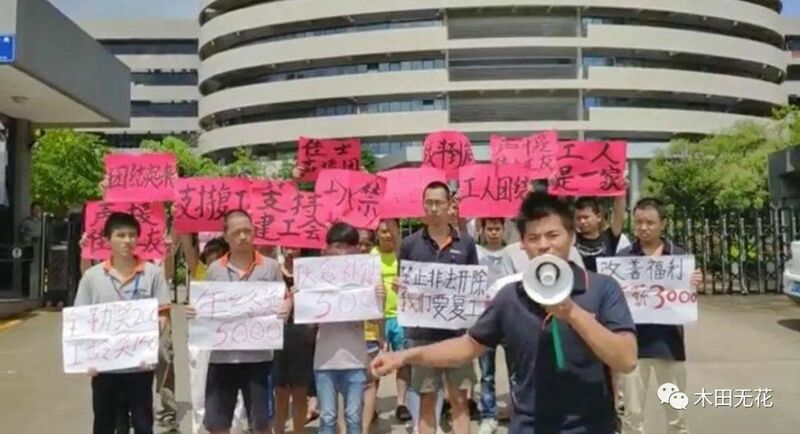 China Labour Bulletin calls on the Shenzhen authorities to immediately release all those still in detention as well as those detained subsequently for nothing more than demanding for workers’ legal right to establish a trade union.